If you're looking for a new game to play on the Nintendo Switch, you should definitely check out Graceful Explosion Machine. Prior to the launch of the Switch, Nintendo made it clear that smaller games would be pivotal to the system’s success before dedicating an entire Direct to indie titles. While Nintendo Switch owners have spent countless hours digging into The Legend of Zelda: Breath of the Wild, these “Nindies” have quietly padded out the console’s eShop, filling the software void beyond Hyrule. One of the most eye-catching Nindie games available is a charming little shoot ‘em up with a big, outlandish title—Graceful Explosion Machine. Created by a 5-person at an independent studio named Vertex Pop, Graceful Explosion Machine is a frantic take on the classic space shooter genre where players must blast their way through wave after wave of colorful alien foes. It’s a cookie-cutter idea on paper, but the hook comes in the form of the game’s weapon system. The “little spaceship that could” comes equipped with 4 different offensive options: a basic blaster, a close-ranged sword, a sniper beam, and a barrage of missiles. The key to combat is knowing when to use these weapons and switching to them on a dime. This makes for a fast-paced shooter, even by arcade standards, where split-second decisions often stand between you and the next stage. If that weren’t enough to manage, the higher caliber weapons all drain your ship’s energy, which can only be restored by grabbing crystals dropped by fallen aliens. Your standard blaster won’t use up any energy, but it can overheat if you fire off too many shots at once, disabling it temporarily. Each stage is like a lethal juggling act, where you need to constantly find the balance between clearing out swarms and conserving your energy for dangerous situations. The use of physical space is also somewhat unique here, as players are crammed into tight, horizontal areas that loop in on themselves similar in nature to Pac-Man. While many games like this utilize relatively open fields (giving players the freedom to weave and bob around the screen), these claustrophobic corridors keep you on the move as you’re constantly boxed in by enemies. Because of that, movement is just as crucial as shooting. Especially considering how you constantly find yourself needing to boost through the narrowest of openings to get an advantage. That kind of quick, close-range combat is less akin to Space Invaders, and more reminiscent of old-school brawlers. 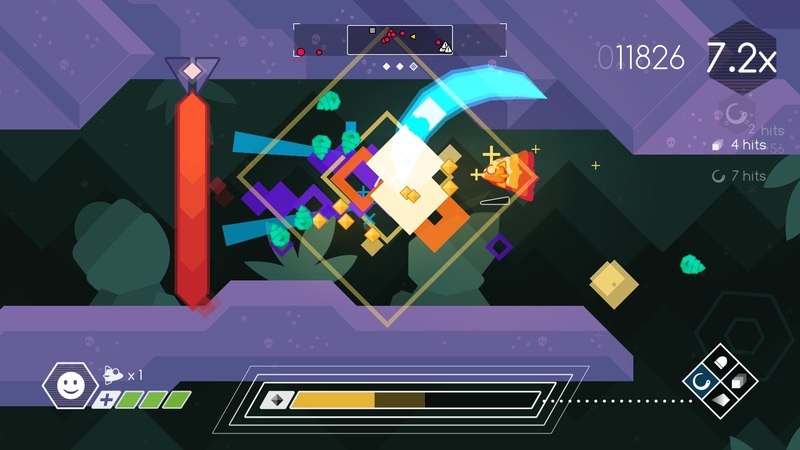 Instead of mashing one button to win, though, Graceful Explosion Machine keeps you on your toes through its nuanced attack system. And it’s a good thing that the game’s mechanics are so slick, because presentation isn’t exactly the game’s strong suit. Graceful Explosion Machine’s 30+ levels are all spread out between 4 nearly identical color-swapped planets. There are tiny tweaks here and there, such as new enemies or lasers that block off your path. Unfortunately, they rarely make a level feel significantly different than the last. The game also features 2 challenges per planet, which consist of replaying the stages again for a high score. Because these high scores are already logged for each level, the challenges wind up feeling somewhat arbitrary. Despite this, the addition of leaderboards helps give each stage a small degree of replay value, even if the repetition reveals the game’s set limitations. In that way, Graceful Explosion Machine feels like it's hearkening back to the golden age of browser games (it even looks like the classic Helicopter game). It operates on a micro-budget that uses fine-tuned gameplay to make up for its scale. The result is in an addictive shooter that’s easy to pick up and put down. This style of game is a great fit for the Switch. While tiple-A titles will always sell consoles, curiosities like this are perfect for casual players who just want a cheap, fun way to kill 10 minutes at a time. 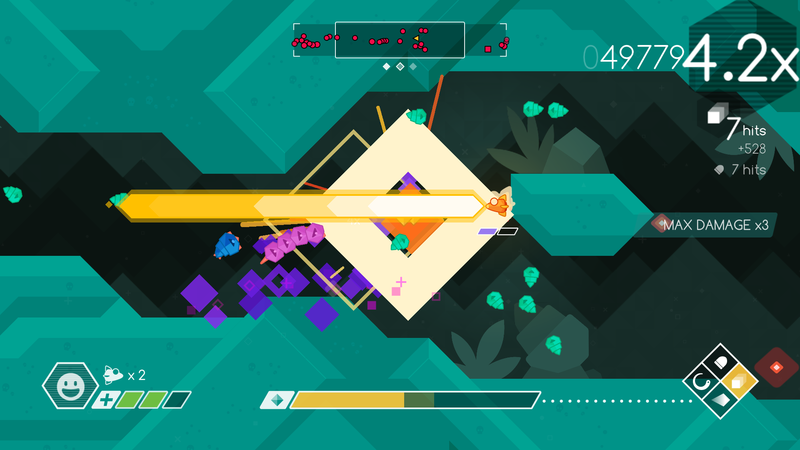 As an early Switch release, Graceful Explosion Machine shows off the more mobile-focused side of the console, while still utilizing some of its unique features. The vibrant art style looks sharp on the Switch’s screen, and the HD Rumble feature is subtly utilized to give the game’s titular explosions a more responsive feel. Even the combat system is well suited for the Joy-Con’s small ABXY buttons, making it easy to fire off different weapons on a moment’s notice. With Splatoon 2 and ARMS on the way, Switch owners will have plenty to dig into come summer. 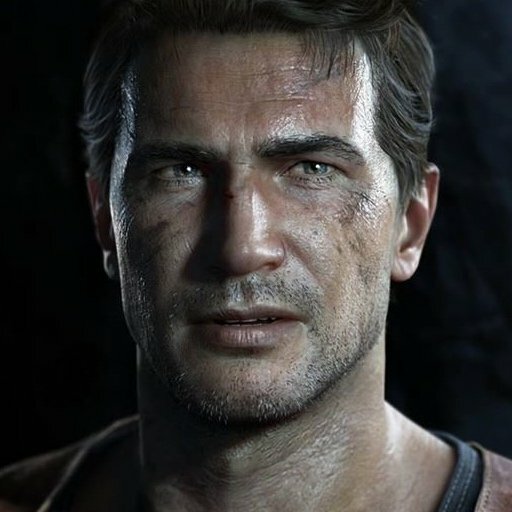 However, those games’ reliance on online connectivity and motion control wind up making them a tougher sell for people who tend to play on the go. 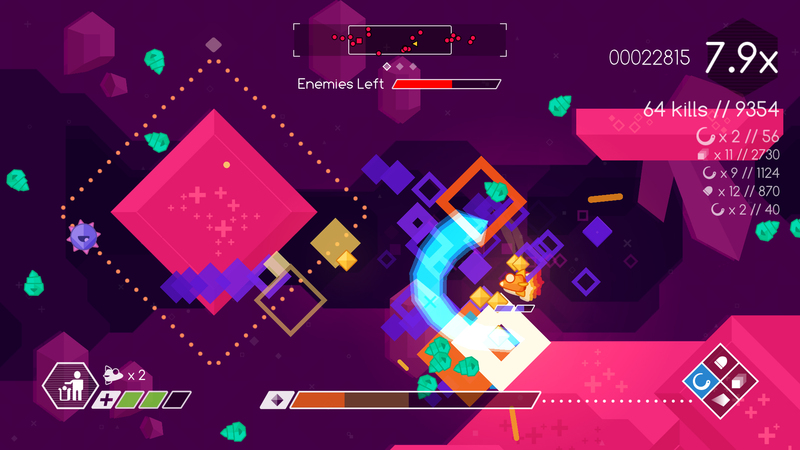 What Graceful Explosion Machine lacks in features, it makes up for in playability. This is the kind of game you’ll want to load up the next time you’re stuck in line at the DMV. For more on Graceful Explosion Machine, be sure to check the game out on the Nintendo eShop. Addictive and great for quick entertainment. Reminiscent of classic beat em' ups. A good fit for the Nintendo Switch platform.